Easy Gully (East Gully according to some) is seen here from above. The word "easy" is used in its relative sense. 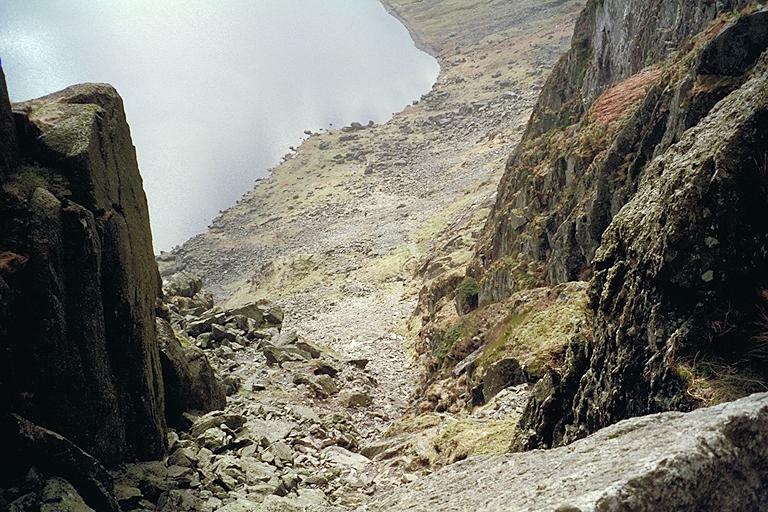 This gully is "easy" in comparison to Jack's Rake, but the huge boulders near the top are not easy to overcome. Smaller version of this picture.